MySafetySign.com, the premier online resource for safety signs, has released a new line of snake warning signs in an effort to reduce snake-related injuries. This durable series of signage will designate areas known to contain a significant quantity of venomous snakes, keeping unknowing passersby informed of potential snake-related hazards. The American Academy of Family Physicians website reports that over 8,000 injuries from venomous snakebites occur annually throughout the country. These bites most commonly occur between the months of April and October, when outdoor activity is most prevalent. The majority of North American snakes are not naturally aggressive, and snake-related fatalities are relatively uncommon, but a significant portion of venomous snake bites occur when these potentially hazardous reptiles are unintentionally provoked by younger children. MySafetySigns collection of snake warning signs utilizes bright colors and universally recognizable graphics to communicate the presence of hazardous snakes. The signs range from simply yellow and black caution signs that denote Venomous Snakes in Area to more in-depth and informatory signs denoting particular areas that snakes inhabit and some of the reptiles behavioral paradigms. For areas with strictly rattlesnakes present, an immediately identifiable rattlesnake graphic concisely communicates the presence of venomous hazards. To most effectively promote safety against venomous snakes, the materials utilized in each snake warning sign are meant to augment visibility and concisely inform onlookers. MySafetySign employs durable 3M materials on reflective aluminum to ensure the signs are both long-lasting and visible at all hours of the day and night. This resilient composition outlasts other thin-gauge signs and wont rust, keeping readability at a maximum. Nobody likes a snake bite, said Daniel Male, manager of MySafetySign.com. We want to be sure that if there are snakes around, people stay informed and safe. 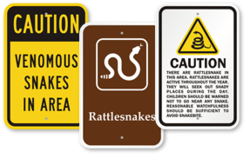 With this new series of signs, MySafetySign hopes to keep civilians educated about areas with a prevalence of venomous snakes and reduce snake-related injuries throughout the nation. For more information about venomous snake-related signage and other safety signs, please visit http://www.mysafetysign.com/snake-warning-signs.aspx. This entry was posted in Which Open Source Blog and tagged MySafetySign.com, Releases, Series, Signs, Snake, Warning on February 24, 2013 by Administrator. New York City (PRWEB) October 15, 2003  Alexis Carnegie: Your new online gallery,MYTHOS (http://www.alanworks.net/alanworks_mythos.html) captures a unique moment. Are you worried about the press or mass marketeers compressing your work into a sound bite? Since everything is corporate now, do you think that the sheer demand for new information, new music and new art, will place your work in the corporate package for consumption by the masses? Alan Miller : That is a very good question. MYTHOS, which can be found on the http://www.alanworks.net website, already has received over 100,000 hits in three days without a word of press. The emails have been overwhelming. The Christian right has already condemned MYTHOS via emails since it’s a naked man shot from a very interesting perspective. It’s not a Robert Mapplethrope, but it is definitely an ALAN. I just completed the series last week and it’s already receiving a great deal of attention. Alexis Carnegie: This is a very dramatic time for American culture. I am aware of the time you place in the background research for your work. How much of the media do you use for your concepts and production ideas? Alan Miller : You would be surprised. I do make a valiant attempt to watch the news and read the American press. Yet, there’s so much mind-numbing codswollop distracting us, or should I say dividing us from the substance of any given event. I know “If it bleeds it leads” dictates the tenure of today’s American reporting, but it seems to be a will-o’-the-wisp spin on everything that moves. This ” ignis fatuus” reluctance to report without spin on the part of the American media gels minds and we lose the story of what ‘s happening behind the scenes. If you look at American media and British media when there’s coverage of the same event, you’d think we were reading about two different worlds. Hence, through the internet, to receive a more accurate snap of world events; I click into the BBC. Alexis Carnegie: Do you find having access to all this Information over the internet overwhelming? Alan Miller : Oh no. I have always liked to research ideas or to aid factual profiles to the different projects that I’m working on. I get a kick out of looking things up and following l what I call brainwaves. These brainwaves connect on a global scale. So I read an editorial in Spain, or in Iceland which are saying the same things but coloured through the eyes of the writer, but it’s the same feeling or conclusion drawn through this collective brainwave. The undercurrent of mankind is strong and can not be fooled by corporate demographical targeting. This is the aspect of the internet that I truly enjoy. As much as American media and government tries to control the flow of information, the sprit of thought can not be dissolved. And believe me, they are trying their best to spin the collective spirit to sleep. Alexis Carnegie: Taking just a step back from your photographic works, I have read numerous articles about your political views. You seem to ebb and flow almost on a daily thunderbolt when it comes to the political climate here in America. How do you currently see the American political scene? Alan Miller : First of all, that’s a very general question, so I’ll give a very general answer. In America, and I hate to paraphrase Bill O’Reilly since Bill paraphrases himself just fine, but he’s right about a very definitive culture of hate that percolates just under the surface in American politics. The best example to date was the crap that Grey Davis dished out in California last month. Seven days left to Arnold Schwarzenegger’s campaign and out of the blue came the dirt. There was Davis in full misanthropic splendor, attacking the person and not the issues and looking innocently into the lens of the camera. Maria Shriver said it best referring to this mentality as “gutter journalism.” But the end result challenges anyone who wants to get involved in politics at any level. I’ve seen the same crap at local and state levels. The American system has de-evolved into a disenfranchised model of whiney morons saying anything they wish, with the hopes that something will stick to discredit their opponent. The body politic of America is stewing in a very dangerous state of terminal inertia. Alexis Carnegie: But if this is the case, then Americans must react as they always have and take it to the streets or on the airwaves. Alan Miller : No. Not this time. You see, in the end, it’s about control. It’s no wonder that Americans are pouring money into their homes, or watching Queer Eye for the Straight Guy, or HGTV. These are the elements that are now creating real value since they reflect a very… “Real Control.” At gallery openings or other public events that I attend the vast majority of people have had it with George W. Bush and his fear spinning. Most people think the Iraqi war was worth it, as I do. But now it’s just another Vietnam regardless of how it’s spun. So the talk traverses to wall colour, new flower beds and the latest haircut. It’s not shallow talk but rather a “conversation of control.” People are turning off their television sets to get away from the fear-spin and digging in the backyards and planting flowers. The collective of Americans brandish a grander level of intelligence than what our government may think they do. That’s where the real hope for America lies at the moment. Not in medieval religious beliefs with idiots like Pat Robinson who advocated nuking the State Department to Jerry Falwell and his list of immoral persons “ACLU, feminists, gays, lesbians” who he stated was responsible for the 9/11 terrorist acts against America. It’s the same medievalist mindset that’s being played out in the United States and the middle-east today. An eye for an eye just creates alot of blind people. It’s just time to stop the backward directions and embrace the future without the “hell over your shoulder” fear that’s being pumped into us by the American media and the bully pulpits of American evangelical corporate christians at GOD Incorporated. Alexis Carnegie: Has the political process affected the way you photograph? Alan Miller : Not so much the political process but the cultural reaction to this, I know does. The sands are shifting around us and it’s a very odd feeling for someone like me. Our cultural absolutes are in fact disintegrating in real time and real terms. This induced trauma of change I embrace, but this crumpled mess of Andy Warhol’s 15 minutes of fame has escalated into a world of disjointed headlines were Britney Spears and Saddam Hussein seem equally important. The process is just so fundamentally overwhelming that most Americans accept whatever they happen to be looking at that evening. And I wonder about the great sense of indifference that seems to be creeping into our culture. Yet I enjoy the questioning and the indifference since it sparks grand change, grand dialogue and deep fissures in the status quo and exposes myth of the American establishment. Alexis Carnegie: Do you feel that since you are getting older, your age reflects a change of perspective? Alan Miller : Ask me when I’m 65. I’m not that old, just old in experience. I’ve seen great changes in my life over the last two years, and yes, it’s there I’m sure. Yet the push now is for publishing. I have four books which need to be completed and out the door as quickly as I can. 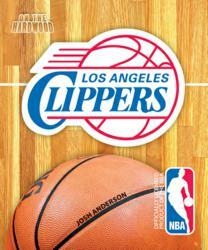 But I have set up a taste of each book in my public galleries on http://www.alanworks.net. MYTHOS is about the transcendent image of a man. To look and react, and see as to feel, as to touch, as to taste. It about the elements of a man. The dispelling of guilt as to view the natural man. I keep returning to the pagan thought of freedom in expressed passion, in expressed joy of our human forms. To enjoy the sweat, the smells, the very joy of discovery anew. The ancients understood the effluvium of excess and that was one of the reasons that the early Christians so easily annihilated the pagan cultures. The pagans just didn’t have the same hatred or weapons that the Christians had, but in all fairness it wasn’t hatred but the knowledge that God was on the the side of the Christians according to the books of early Christian history. And whomever was left standing in pagan societies after the wars, died by the hand of diseases delivered by missionaries upon their arrival. This point was driven home whilst living in Hawaii. Suppering with local families and hearing true accounts their immediate descendants had with Europeans through the oral tradition of story telling. The Hawaiians were almost completely eradicated from their islands. It’s quiet a story. Currently, there’s a very substantial movement by the Hawaiians to bring back their heritage and secede from the United States. With the exception of the island of Oahu, I see that being realized in my lifetime. But getting back to the images of MYTHOS, MYTHOS is a non-political non-religious series of the celebration of the natural man, but at the same time, MYTHOS can not help but make a statement of it’s own. Access Arts’ has been dedicated to world wide distribution of information for artists and contemporary visual arts institutions since 1994, with a readership of more than 65,000 North American and International professionals ‘daily’ (not including our syndicated outlets), and a client base of some of the most prestigious art institutions in the world. Founded by a former Executive Director of an affiliate of the John F. Kennedy Center for the Performing Arts, and Director of Goodwill Industries, the mission also serves to promote accessibility to the arts through fiscal support of programs that provide free education for special need populations. This entry was posted in Which Open Source Blog and tagged Mythos, Online, Photographic, Released, Series on February 13, 2013 by Administrator. BizPAD, a cloud-based project management system, announced today the launch of their unique template series, available now and free for all users. The templates are a cleaver response to the needs of users seeking easier organizational and productivity tools to manager everything from people to protocol. The templates are a copy and paste feature that allows users to utilize prepared folders, check lists and instructions to complete a specific action. Were excited to finally offer these templates to our users, said Emily Rehm, President of BizPAD. We listened to what they needed in order to make their project management easier and we’re ready to deliver. The free templates are part of a marketing campaign designed to redefine how businesses and individuals utilize cloud-based project management systems. BizPAD plans to continue the series with templates featuring article writing, search engine optimization (SEO), and many other useful tools for users managing a business, coaching a client or planning events. This entry was posted in Which Open Source Blog and tagged BizPAD, Free, Launches, Management, Maximized, organization, Productivity, Project, Seeking, Series, System, Template, Users on February 11, 2013 by Administrator. This entry was posted in Which Open Source Blog and tagged , 2013, Announces, Available, Books, Early, Lerner, Publisher, Series, Services, Team on February 10, 2013 by Administrator. David Peretz, M.D. 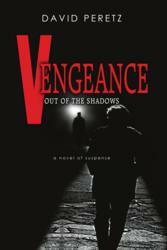 returns with the third in his series of Ross Cortese, NYPD detective novels: VENGEANCE OUT OF THE SHADOWS (October 2012). In successive weeks, two New York landlords have been shot to death, one in Central Park and one in Brooklyn. Are these the acts of a disgruntle tenant, a business rival or a serial killer? Ross calls on Detective Ruth Wilson, formerly a profiler with the FBI, to join the squad and to assist with the investigation. Will the killer strike again? If so, when and where? Meanwhile, Doschenko, ex-KGB assassin, has been on the run from Interpol since Ross brought him down from near the pinnacle of power by foiling an attempted neo-Nazi coup in Vienna. Fulfilling a contract killing in Oman, Doschenko is given the green light to come to New York via Canada, for another assignment. It is the opportunity he has been waiting forto revenge himself by inflicting maximum pain on Ross and those he loves. This is a sampling of what reviewers said about THE MOSEL LEGACY and THE BRODERICK CURSE. A page-turner that goes straight to the heart and the conscience. Well paced, beautifully written, David Peretz is a welcome newcomer to the world of suspenseful fiction. On the surface, David Peretzs MOSEL LEGACY is an adventurous, plot-driven cop thriller, albeit one with an unusual degree of historical, political and psychological savvy. But the books greatest triumph is the manner in which it seamlessly interweaves philosophical themes of justice, retribution, heritage and identity into the gripping narrative. In the end, MOSEL is a page-turner for the brain as much as for the heart. This entry was posted in Which Open Source Blog and tagged David, Detective, Novel, NYPD, Peretz, Psychiatrist, Returns, Series, SHADOWS, Third, VENGEANCE on February 3, 2013 by Administrator. 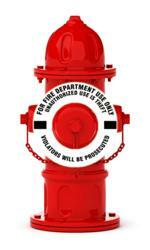 MySafetySign.com, a premier retailer of fire safety equipment, has released a new line of fire hydrant rings. These new markers are placed under a hydrants valve to indicate functionality problems and promote fire safety throughout communities. According to the National Fire Protection Association (NFPA)s website, there were 1,331,500 fires in the United States in 2010, resulting in 3,120 deaths and $ 11.6 billion in property damage. Due to the potential for such extensive damage, nearly every municipality and business treats fire prevention as a primary concern. MySafetySigns hydrant rings are available in six colors, each of which indicates a specific issue with a hydrants ability to function, such as low water pressure. The new line also includes rings with printed messages, such as Out of service and For fire department use only. These messages, together with a rings color, are quick and easy ways for firefighters to discern that a hydrant isnt working properly and identify issues with the hydrant. Fire hydrant rings can be an incredibly useful tool for firefighters. They can even make the difference between losing an entire house or just a room, said Cole Paulson, Manager at MySafetySign. Hydrant markers keep the community safe. The heavy-duty plastic rings are placed underneath the hydrants valve to ensure that would-be vandals will be unable to remove the ring without completely dismantling the hydrant. The available reflectivity can assist firefighters in the darkness, since even a dim light will reveal a rings presence on a hydrant. The new hydrant markers come in both 35mil plastic and 43mil reflective plastic, both of which are highly resistant to the elements. Due to the rings strong composition, these markers will last at least five years, even in more severe climates. This entry was posted in Which Open Source Blog and tagged Fire, Hydrant, MySafetySign.com, Releases, Rings, Series on January 19, 2013 by Administrator. Today, The Bridgespan Group is launching a groundbreaking, free video series of frank and candid conversations with more than 50 philanthropic leaders, providing unprecedented access to their strategic thinking, insights, and wisdom; the series can be accessed at Bridgespans website for philanthropists, http://www.GiveSmart.org. Including individuals such as Ted Turner, Eli Broad, Pierre Omidyar, Michael J. Fox, Peter and Jennifer Buffett, Charles Bronfman, Melinda Gates, Jean and Steve Case and foundation leaders from across the country, Conversations reveals how our interviewees think about effective philanthropy in relation to their families, how they pick causes to champion and work with grantees, and how they define success and measure results. They reflect on a host of issues from disaster relief to the successful (and surprisingly unsuccessful) application of business skills to the social sector. Several remark on whats humbling and whats unexpected, all sharing what theyve learned along the way. Never before has there been, in one place, such an extensive set of conversations with people who are helping shape 21st century philanthropy trends, said Thomas J. Tierney, Chairman and Co-founder of The Bridgespan Group and co-author of Give Smart: Philanthropy That Gets Results (Public Affairs, 2011). Containing insights ranging from how to get involved in results-driven philanthropy to learning from failure, these amazingly candid conversations provide a roadmap and resource for those who want to make a difference through philanthropy. When asked about her participation in the video series, Jennifer Buffett, President and Co-chair of the NoVo Foundation said, Effective philanthropy calls for the marriage of head and heart, the pragmatic and the inspirational. NoVo Foundation is pleased to be part of GiveSmart.org’s video project, which provides useful, accessible, and inspirational guidance to grantors and grantees alike. While everyone’s philanthropic journey will be unique, we can all learn from the experience of others. This entry was posted in Which Open Source Blog and tagged Bridgespan, Conversations, Free, Givers, Group, Launches, Remarkable, Series, Video on January 9, 2013 by Administrator.